Welcome! This site provides resources on diversity, identity, and communication for educators, trainers, leaders, students, and anyone interested in social identity differences such as gender, race, age, social class, ability, sexuality, nationality, and religion (and their intersections). Although I designed this site to supplement my book, Difference Matters: Communicating Social Identity, it can be useful whether you use my book or not. Basically, I want this site to be a rich repository of insight and information for anyone who seeks to enlighten and educate people about matters of difference, as well as anyone who wants to be enlightened. I will be adding materials, so please return again and again. Also, please contact me if you have questions, ideas, or resources you would like to contribute. My email address is Dr.BJAllen@gmail.com. Allen's proven ability and flare for presenting complex and oftentimes sensitive topics in nonthreatening ways carry over in the latest edition of Difference Matters. Her down-to-earth analysis of six social identity categories reveals how communication establishes and enacts identity and power dynamics. She provides historical overviews to show how perceptions of gender, race, social class, sexuality, ability, and age have varied throughout time and place. Allen clearly explains pertinent theoretical perspectives and illustrates those and other discussions with real-life experiences (many of which are her own). She also provides practical guidance for how to communicate difference more humanely. While many examples are from organizational contexts, readers from a wide range of backgrounds can relate to them and appreciate their relevance. UnderstandingPrejudice.org A web site supplement for a McGraw-Hill anthology entitled Understanding Prejudice and Discrimination. The publishers allow access for anyone "interested in the causes and consequences of prejudice." Contains a variety of interactive exercises and over 2,000 links to various resources, including searchable databases. Online companion to RACE - The Power of Illusion, a three-part PBS documentary series produced by California Newsreel. The site contains a wealth of information for educators and the general public, including self-paced interactivities, background readings, a moderated discussion with scholars, a discussion guide, transcripts, and more. This site contains essays and interactive polls related to various age groups in the United States. A project of the American Anthropological Association's online resource for an interactive educational museum program that explores race in society, history, and science. This site lists a variety of articles about diversity in the workplace. An ejournal about diversity issues in business, government, non-profit, higher education and military settings. The Invisible Disabilities Association encourages, educates and connects people and organizations touched by illness, injury and disability around the globe. The federal government website for comprehensive information on disability programs and services in communities nationwide. The National Association of the Deaf (NAD) is the nation's premier civil rights organization of, by and for deaf and hard of hearing individuals in the United States of America. A Wealth of information about employment and youth with disabilities. An Iris Films production ; producer, director, Frances Reid ; writers, Sharon Wood, Frances Reid. A diverse group of college students reveals their honest feelings and attitudes about race and racism. Students are interviewed alone, and then discuss the issues in a group setting. Indian mascots and nicknames in sports / written, produced and edited by Jay Rosenstein. Discussion of Chief Illiniwek as the University of Illinois mascot, and the effect the mascot has on Native American peoples. Graduate student Charlene Teters shares the impact of the Chief on her family. Interviewees include members of the Board of Regents, students, alumni, current and former "Chiefs" and members of the community. 2017 Allen, B.J. Women as inclusive leaders. In: C. Cunningham, H. Crandall, & A. Dare (Eds.) Gender, Communication, and the Leadership Gap (pp. 13-23). Charlotte, NC: Information Age Publishing. 2016 Allen, B.J. Optimizing technology’s promise. EDUCAUSE Review, 56, 28-42. 2016 Allen, B.J. & Garg, K. Diversity matters in academic radiology: Acknowledging and addressing unconscious bias.Journal of the American College of Radiology, 13, 1426-1432. 2016 Allen, B.J. Difference matters. Spectra, The Magazine of the National Communication Association, 52,1, 8-13. 2011 Allen, B.J. (When and how) do I tell? : Disclosing social identity in personal relationships. In: D. Braithwaite and J. Wood (Eds.). Casing interpersonal communication: Case studies in personal and social relationships (pp. 173-179). Kendall/Hunt. 2010 Allen, B. J. Critical communication pedagogy as a framework for teaching difference. In: D. Mumby (Ed.) Organizing difference: Pedagogy, research, and practice (pp. 103-125). Thousand Oaks, CA: Sage Publications. 2010 Allen, B.J. Social constructions of a black woman's hair: Critical reflections of a graying sistah. In: R. Spellers and K. Moffitt (Eds.). Blackberries and redbones: critical articulations of Black hair/body politics (pp. 66-77). Cresskill, NJ: Hampton Press. 2009 Allen, B. J. "With you we got a twofer": Challenging the affirmative action hire stereotype. In: E.L. Kirby and M. C. McBride (Eds.). Gender actualized: Cases in communicatively constructing realities (pp. 139-140). Dubuque, IO: Kendall/Hunt. 2007 Allen, B.J. Theorizing communication and race. Communication Monographs 74, pp. 259-274. 2006 Allen, B.J. Communicating race at WeighCo. In J.T. Wood and S. Duck (Eds.) Composing relationships: Communication in everyday life (pp. 146-154). 2005 Allen, B.J. Social constructionism. In: S. May and D. Mumby (Eds.). Engaging organizational communication theory and research: Multiple perspectives (pp. 35-53). Thousand Oaks, CA: Sage Publications. 2004 Allen, B. J. Sapphire and Sappho: Allies in authenticity In A. Gonzales, M., Houston, & V. Chen: Our voices: Essays in culture, ethnicity, and communication (4th Edition) (pp. 198-202). Los Angeles: Roxbury Publishing Co.
2002 Allen, B.J. Goals for emancipatory communication research on Black women. In M. Houston & O. Davis (Eds.) Centering ourselves: African American feminist and womanist studies of discourse (pp. 21-34). Creskill, NJ : Hampton Press. 1998 Allen, B.J. Black womanhood and feminist standpoints. Management Communication Quarterly 11: 575-586. 1999 Allen, B.J., Orbe, M., & Olivas, M.O. The complexity of our tears: Dis/enchantment and (in)difference in the academy. Communication Theory 9: 402-430. 2009 Ashcraft, K.L., & Allen, B.J. Politics even closer to home: Repositioning CME from the standpoint of communication studies. Management Learning, 40(1), 11-30. 2003 Ashcraft, K. L., & Allen, B. J. The racial foundation of organizational communication. Communication Theory 13: 5-33. 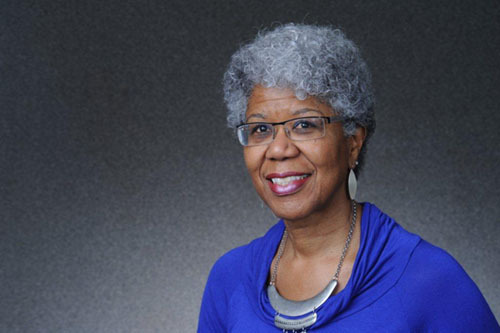 Brenda J. Allen (Ph.D., Howard University) is the Vice Chancellor for Diversity and Inclusion (Chief Diversity Officer) at the University of Colorado Denver | Anschutz Medical Campus. She also is a Professor of Communication. Her research and teaching areas are organizational communication, diversity, group communication, and critical pedagogy. Among her numerous publications is a groundbreaking book entitled Difference Matters: Communicating Social Identity, 2nd. Ed., (2011, Waveland Press). In addition to performing her duties at the University, she presents keynote speeches and conducts workshops on a range of topics, including self-empowerment, diversity, leadership, inclusion, strategic planning, presentational speaking, mentoring, and teamwork. 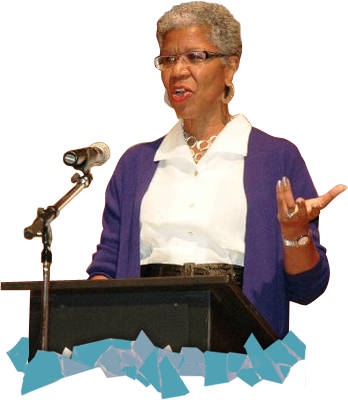 Dr. Allen has received numerous awards and accolades, including the Francine Merritt Award for Outstanding Contributions to the Lives of Women in Communication from the National Communication Association (2004). In January 2006, she received the first Annual Award for Outstanding Achievement for Commitment to Diversity at the University of Colorado Denver. She also was named a Master Teacher (2007-2008) by the Western States Communication Association. In 2011, she received the first Annual Award for Excellence in Faculty Mentoring from the University of Colorado Denver and the Paul H. Boase Prize for Scholarship from Ohio University for distinguished scholarship in the field of communication; she also was the Carroll C. Arnold Distinguished Lecturer at the National Communication Association’s annual convention. She received the 2013 Elizabeth D. Gee Memorial Award from the University of Colorado system, which honors an outstanding faculty member for efforts to advance women in academia, interdisciplinary scholarly contributions and distinguished teaching. In 2016, she received the Leadership in Higher Education Award from the Faculty Council of the CU system. DifferenceMatters.info is our resource, so let's build it together. Please send me suggestions or content that you think I should add. Also, give me feedback on what else I might include. Thank you very much.